Konami''s Super Premium Pack is a great combo of S.I.D. from UFO and either Fireball XL5 or a Rescue Eagle from Space: 1999 - but what if you only want S.I.D.?! We''ve read your emails, we''ve felt your pain, now dry your eyes li'l troopers; FAB Gear is selling each model separately! 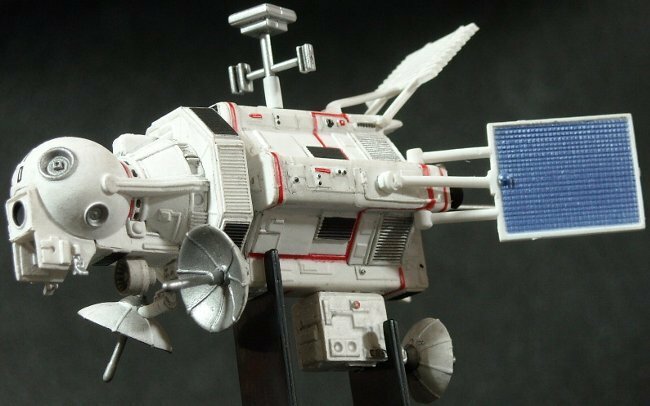 Space Intruder Detector is approximately 3-4 inches long and comes pre-painted with minimal snap together assembly required. The dish antennae are poseable, and the model comes with a black styrene display stand. Konami''s S.I.D. comes packaged in a clear polybag. Available separately at last! Konami''s Space Intruder Detector from UFO! I got it for a Christmas gift and was surprized when I opened it up. Like it very much. It was what I expected to get.